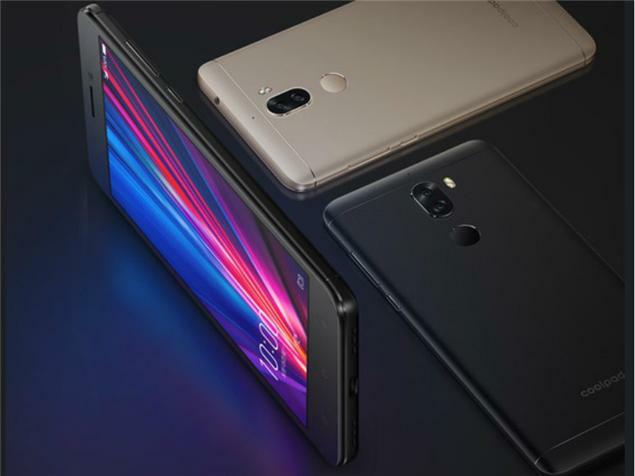 Coolpad, a global leader in smartphone manufacturing and integrated wireless data solutions, today announced the launch of “Sheen Black” variant of Cool Play 6. The performance oriented phone was launched on 20th August, 2017 has a high-grade metal body and a bezels display, without the physical home button. The phone comes with a 5.5-inch Full HD touch screen display with a resolution of 1080 x 1980 pixels. The Coolpad Cool Play 6 is powered by 1.9 GHz octa-core Qualcomm Snapdragon 653 processor along with 6GB of RAM. The high - performance and premium design smartphone is priced at Rs. 14,999 and comes with an innovative fingerprint sensor. The Sheen Black variant will be available exclusively on Amazon.in from 03, November, 2017. The phone offers 64GB of internal storage that can be expanded via a microSD card. Coolpad Cool Play 6 packs a 13-megapixel primary camera on the rear and a 8-megapixel front shooter for selfies. There is a non-removable Li-Po 4000 mAh battery with a standby time up to 300 H powering the phone with support for USB Type-C reversible connector and Dual SIM (Nano SIM). The Coolpad Cool Play 6 runs on Android 7.1.1 and is powered by a 4060mAh non removable battery. It measures 152.7 x 75.4 x 8.5 (height x width x thickness) and weighs 177 grams.